There are three layers that make up asphalt shingles: backing mat, asphalt and mineral granules. Backing mats are traditionally made with cellulose fibers (sold as “organic” shingles), but fiberglass mats are more common nowadays. They are coated with a specially formulated asphalt, then followed by mineral granules. The asphalt provides waterproofing, while the mineral granules add color and weather resistance, as well as features like reflectivity (for reflecting heat from the sun) and algae protection. Q: What Are Dimensional Shingles? Dimensional shingles, also known as architectural or laminate shingles, are asphalt shingles that are basically two layers of shingles laminated together. The top layer has tabs that are cut differently from the exposed side, which creates a layered look that is reminiscent of hand-cut wood shakes. Roofing systems with dimensional shingles typically have better impact ratings, better wind resistance and better warranty coverage. Q: What Are Starter Strips? The roof edge, particularly the first row of shingles, is vulnerable to wind damage. In addition to high winds, it also gets hit by updrafts. Therefore, it needs a more durable first row of shingles, and this is where starter strips come in. Starter strips are asphalt shingles that come in rolls, and are cut to span the length of the roof. Some roofing systems feature starter strips reinforced with adhesive. Fewer seams result in better protection against wind damage. Q: Why Should I Choose Asphalt Shingles for My Roof? Asphalt shingles strike the perfect balance between cost, life span and aesthetic options. Today’s asphalt shingle roofing systems have expected life spans of about 20 to 30 years. Exceptional impact and fire resistance, as well as high wind ratings, put them on par with heavier materials such as slate and tile. But perhaps the greatest strength of asphalt shingles is their flexibility in terms of color and style selection. You can buy asphalt shingles in virtually any color, and in more shapes than the standard tabbed design. This gives you more latitude on your home’s design. 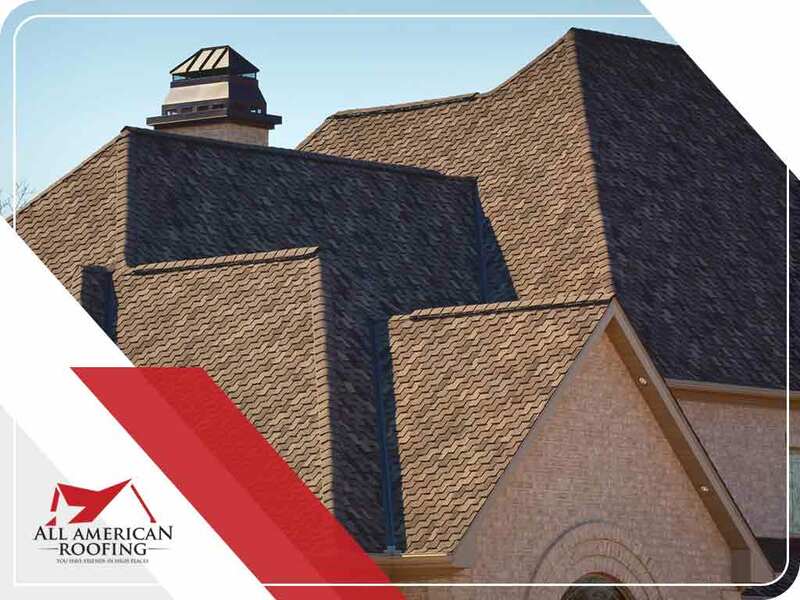 To learn more about asphalt shingles, or our other services as the area’s leading roofing company, call All American Roofing today at (888) 786-0400. You can also fill out our contact form to schedule a free consultation. We serve many areas in and near Tulsa, Broken Arrow and Oklahoma City, OK.